Congratulations on conquering Hoenn! 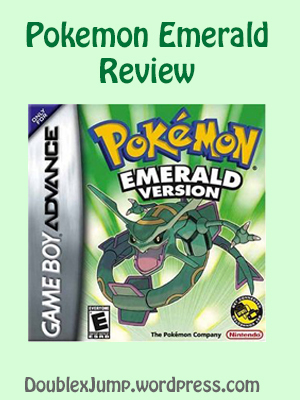 Emerald was a huge step up for me over Ruby/Sapphire thanks to the Battle Frontier. I wish they had brought that back for the OR/AS remakes. I’m sure that would have been interesting with the new updates! That’s probably my least favorite Pokemon generation, but the game is excellent nonetheless. Emerald is certainly the best of the three. I always had a hard time with this generation as well. I don’t know why though. I guess that it was just too hard for it to live up to the stellar first two generations.